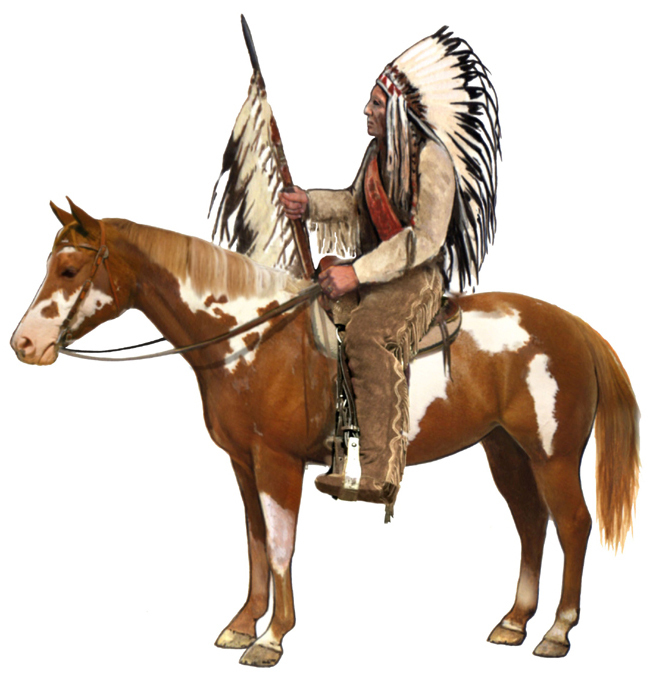 Though commonly associated with the Native American for its legendary magical qualities in battle, the Pinto horse was actually introduced to North America by European explorers, chiefly those from Spain, bringing their Barb stock that had been crossed with native European stock years before. It is believed that the Pinto patterns may have arrived in Europe via the Arabian strains, as Pinto markings appear in ancient art throughout the Middle East. However, evidence of the more dominant Tobiano pattern among the wild horses of the Russian Steppes suggests the introduction of Pinto coloring to Europe possibly as early as during the Roman Empire. After the arrival of these European horses, great wild herds infused with the flashy color patterns we know today began to develop across America, eventually to be domesticated by the Native American. The white man continued to import many of the well-established and stylish European breeds as his foundation stock. Over time, however, with the civilization of the Native American and the white man's migration to the frontier, it often became necessary to cross these fancy, but less suitable breeds of the Eastern seaboard with the wild mustang stock to increase size and attractiveness as well as availability of a horse better suited to the strenuous working conditions of the day. This Western-bred horse became a fixture of America, especially the uniquely marked Pinto whose colorful presence in parades and films always added a little extra glamour. One of the most frequently asked question regarding the Pinto is "what is the difference between Pintos and Paints?" Simply put: The Paint Horse (registered by the American Paint Horse Association) is limited to horses of documented and registered Paint, Quarter Horse, or Thoroughbred breeding. The difference in eligibility between the two registries has little to do with color or pattern; only bloodlines. While most Paints can be double registered as Stock or Hunter type Pintos, the Pinto Horse Association (PtHA) also allows for the registration of miniature horses, ponies, and horses derived from other breed crosses, such as Arabian, Morgan, Saddlebred, and the Tennessee Walking Horse.